What are your thoughts on breakfast for dinner (i.e., brinner)? Sean and I are big, big fans. In fact, we had brinner tonight! 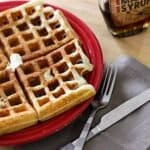 I’ve made these waffles a few times now, and they’re fantastic every single time. 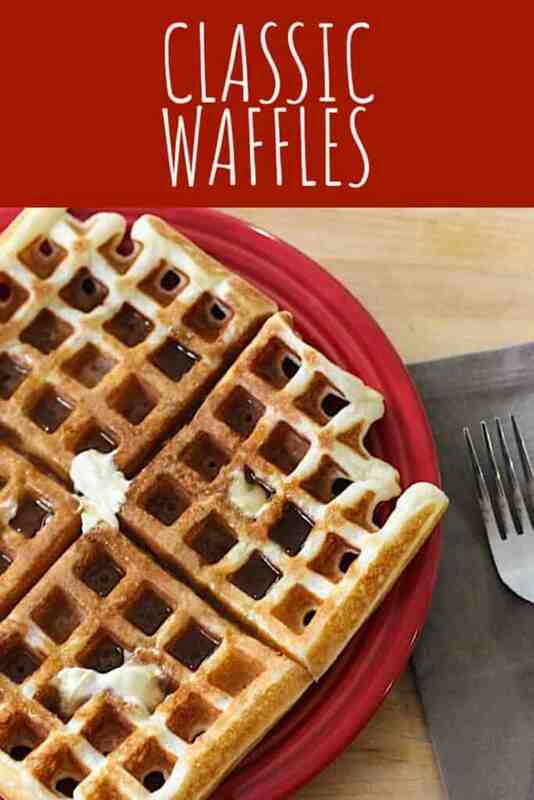 They’re a “classic” version of waffles that can easily be dressed up any which way you choose. Want to add other spices? Maybe some chocolate chips or nuts? Feel like going crazy with toppings? Do it. 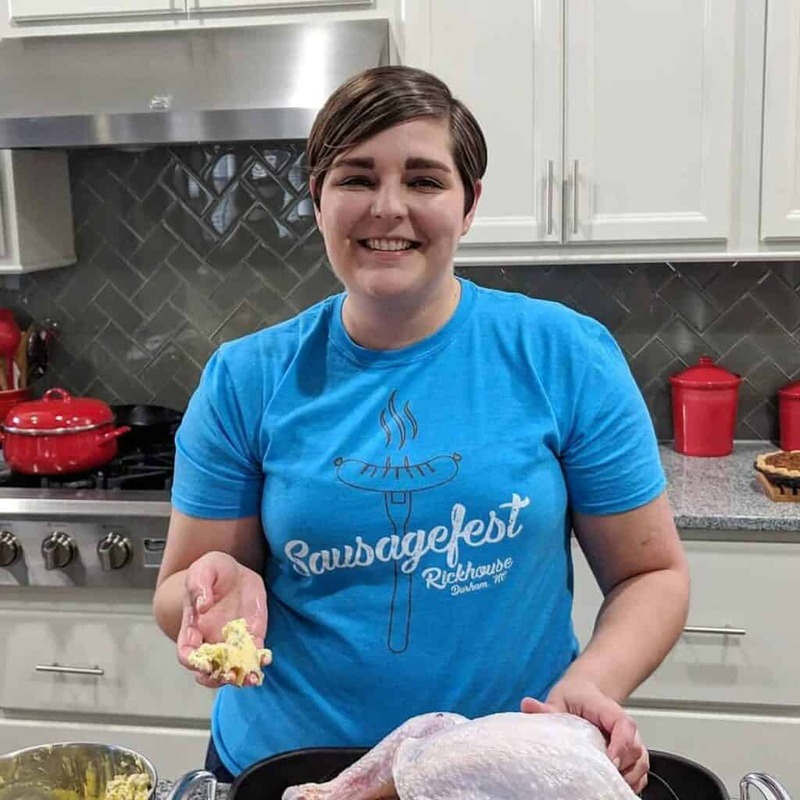 I found this recipe on the blog Average Betty. In a medium-sized bowl, whisk together the flour, baking powder, sugar, salt, and cinnamon. Pour the milk, beaten egg yolks, vegetable oil, and vanilla over the flour mixture. Whisk until just combined. The batter will be lumpy. Gently fold the egg whites into the batter. The batter will still be lumpy. 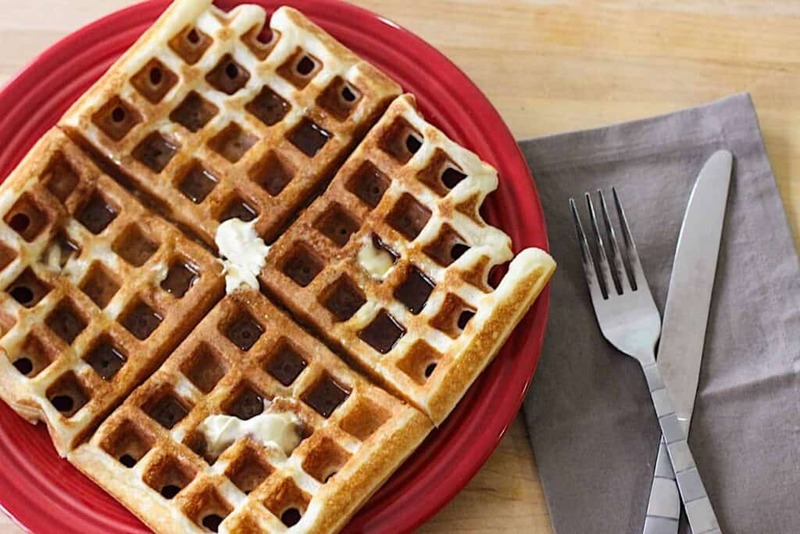 Pour batter into your waffle maker and cook until they reach the desired color. Want more waffles? Well, obviously. 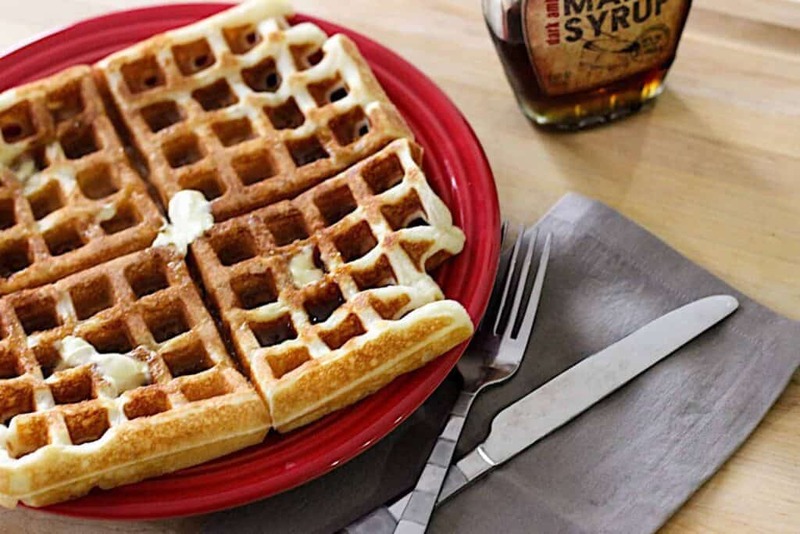 Check out these Sweet Potato Waffles! Previous Post: « Oreo Chocolate Chunk Cookies – Updated! Amen! You know, we very rarely do them for breakfast either. During the week, I’m more of a grab and go kind of person, and on the weekends I’m a slug and usually too lazy haha. Enjoy! i haven’t had waffles in a long time. yum!